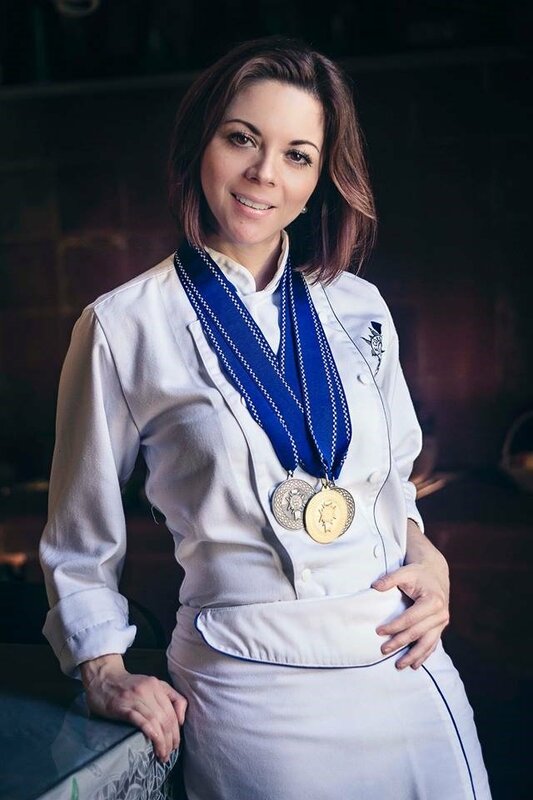 A graduate of Le Cordon Bleu Anáhuac with Le Grand Dimplôme in 2015, Chef Erika Chulini tells us about the path she has followed, after the Cordon Bleu and the values ​​she has learned. With a personal business, Erika chooses her projects for the future, fulfilling her dream since joining Le Cordon Bleu Anáhuac, of being an independent chef of high excellence. Also, she takes time to teach cooking and social work. Using the tools and methodology that the Cordon Bleu Chefs taught her, she proudly tells us "I live portrait of them". She does everything possible to be able to support people with scarce resources using the kitchen as an aid tool, as well as giving food for free. Creating this way, his kitchen workshop “Cooking with cause” that consists of teaching people interested in cooking, and, everything that is collected that day, is donated to two places mainly. At the House of Friendship for Children with Cancer and the Penitentiary of Santa Martha Acatitla, this is one of the biggest motivations that Erika has for cooking "My work always has to come hand in hand with a social action", giving motivation to cook people and likewise, give food to vulnerable children. "Le Cordon Bleu Anáhuac did not give me a value, it gave me a lot." Without having completed her studies there, Erika says that she would have continued doing what she´s doing now, but she does not think that she would have generated the facility that the school gave her, with the high discipline, commitment, responsibility and aspiration to improve, Erika happily, fulfills her dream and is very grateful to be the Chef who is now for the teachings of Le Cordon Bleu Anáhuac.